The move triggered a lively discussion in the Rada. 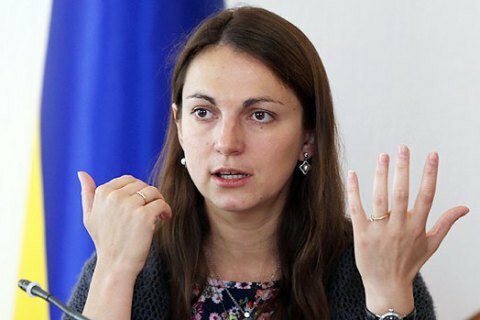 The draft law on the introduction of a visa regime with Russia is contradictory, and its priority is questionable, MP Anna Hopko (independent) told reporters on 4 October. "There are many questions: how high is this issue on priority list and where we all were two years ago? The bill passed the committee and sparked a lively discussion in the house. Let's see whether it garners enough support," Hopko said. Hopko said she was not sure whether visa regime with Russia is enough to stop the "inflow of anti-Ukrainian Russians to Ukraine." "Ask Ukrainian citizens, whether they are prepared to pay for the establishment of consulates, their arrangement, the issuance of visas etc. It is bound to cost a lot of money from the budget," she said. "Meanwhile, will it stop the inflow of FSB agents and Russians that are negative towards Ukraine? We wall already built the Wall on the border with Russia. It has made a lot of noise." "There is populism and there is statesmanship position, and let us have an understanding what are we going to achieve," she stressed. In February, Andriy Parubiy, then the first vice-speaker, together with other deputies registered a resolution to terminate the agreement on visa-free regime between Ukraine and Russia.